KUALA LUMPUR (Apr 14): Bioalpha Holdings Bhd, which counts the Malaysian government as its controlling shareholder, jumped as much as 65% on its Bursa Malaysia debut. Health supplement manufacturer Bioalpha (fundamental: NA; valuation: NA), however, pared gains at 27.5 sen at 12.30pm with some 119 million shares traded. 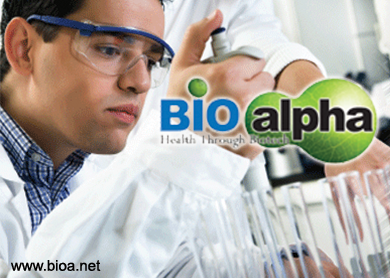 Managing director and chief executive officer William Hon told reporters during Bioalpha's listing ceremony today the company was enhancing its research and development (R&D) as part of its plan to maintain sustainable business growth and market expansion. “We have allocated part of the funds raised from the listing today to upgrade our laboratory facility and develop our proprietary fermentation process for four new medicinal mushroom strains. Besides, we aim to develop new product formulations," Hon said. Bioalpha's IPO involved the sale of 100 million new shares at 20 sen each to raise RM20 million. Of the RM20 million gross proceeds, a RM3 million portion was each earmarked for capital expenditure and R&D. The company has allocated RM9.08 million for working capital and RM2.62 million for repayment of bank borrowings. The company's major shareholders and directors are worth noting. The Ministry of Finance Inc owns a controlling 51.4% indirect stake in Bioalpha, of which, a 22.4% portion is held via Khazanah Nasional Bhd. Hon owns a 33.6% interest in Bioalpha, which is linked to former Proton Holdings Bhd chief executive officer Datuk Seri Syed Zainal Abidin. Syed Zainal, who owns 1% in Bioalpha, is an executive director with the company.